India as a country for geographical purposes is divided into “five” major regions i.e. north, south, east, west, and northeast. Now, the eastern part of the country is popular as a tourist destination not only due to its rich cultural heritage but also, because of the presence of a number of beautiful beaches. There are quite a few beaches located in this region that are worth visiting. So here is presenting a list of “10” popular beaches in “East India” that are truly worth visiting. “Extremely romantic” would be the ideal way to describe a beach located in West Bengal known as Digha. This beach known for its pristine surroundings is also one of the “oldest” beaches in Bengal. Historically speaking, this beach earlier known as “Beerkul” was first discovered during the 18th century by the British. Furthermore, it is surrounded by beautiful Casuarina trees, and provides for magnificent views of the “rising and setting” of the sun. In addition, since it is located at a distance of just 184 km from Kolkata (via NH116B and NH16), it serves as an ideal weekend getaway for people living in the “City of Joy”. Situated at the northern tip of the “Bay of Bengal” in close proximity to Kolkata is a beach in West Bengal known as Mandarmani. Since this beach is located in a “desolate” area it serves as an ideal spot to relax in the presence of “tranquility” away from the “hustle and bustle” of city life. Furthermore, it also comprises of a number of beautiful “Jhau” trees which help in adding more “charm” to its scenic beauty. In addition, it is renowned for being “India’s longest motorable beach”. Considered to be “one among the best in East India” is a beach known as Shankarpur. Located in the East Medinipur District in West Bengal, Shankarpur is closely connected to the Digha Beach. This beach is surrounded by beautiful Casuarina groves which only add to its picturesque beauty. Furthermore, it is also said to be a “virgin” beach since it has yet not been fully explored and developed. And so since it is “unexplored” it serves as an ideal spot for relaxing away from the highly stressful city life in presence of “tranquility”. “Extremely mesmerizing” is a feeling one gets when one visits the Chandipur Beach located in the state of Odisha. This beach located in close proximity to popular tourist spots such as Panchalingeshwar, Remuna etc is known for its serene atmosphere. Furthermore, it also comprises of a number of casuarinas trees and beautiful sand dunes that only adds to the “charm” of the overall scenic beauty. In addition, this beach is considered to be “one among a few” in the world in which the sea during low tide recedes to up to 5 km daily. “Fun and lots of frolic” is what the Gopalpur Beach located in Odisha is ideal for. 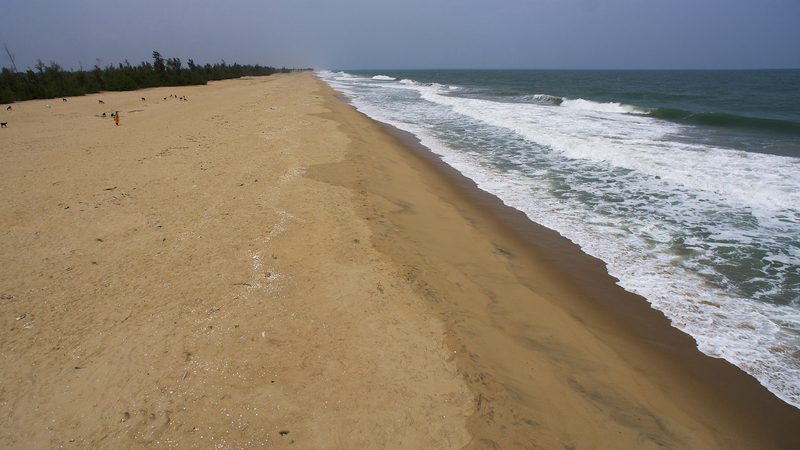 Situated at a distance of 16 km from Berhampur this beach is known for its scenic beauty and a “tranquil” environment. Furthermore, it is also said to be ideally suited for activities such as “surfing and sailing”. The fact that this beach also possesses beautiful golden sand and clean blue sea water only adds to the charm of its overall beauty. Situated in close proximity to the “Konark Temple” is a beautiful beach located in Odisha known as Chandrabhaga. This beach is known for its “serenity”, and is also commonly referred to as “Konark” due to its close proximity to the famous sun temple. Furthermore, it is also renowned for providing the magnificent view of the “setting sun”. In addition, this beach is visited by large number tourists mainly after a visit to the famous “Konark Sun Temple”.